previous post: Burn it right off! 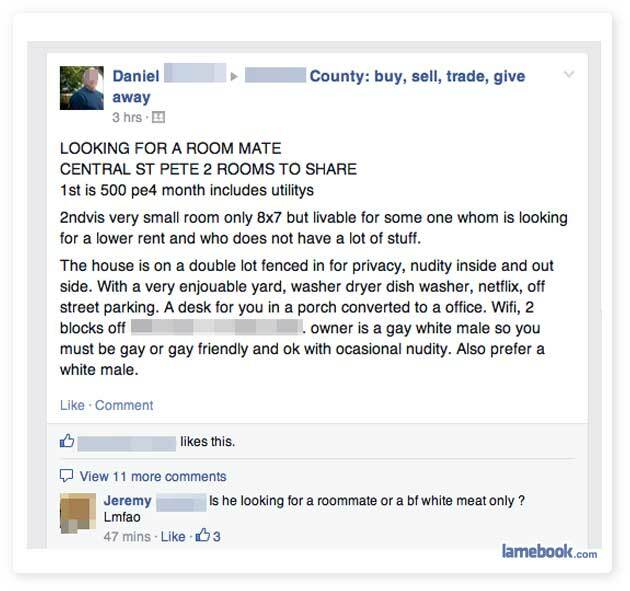 I think Craigslist has a section for that, Daniel. OMG, Jeremy, you’re such funny! This is not the way to get laid, Daniel….Stvr, that goes for you, too, however enjouable your yard and washer/dryer may be. Well, the KKK is allowing gay members now ….